Recently, several members of Howard Stein Hudson donated blood at Boston Children’s Hospital. 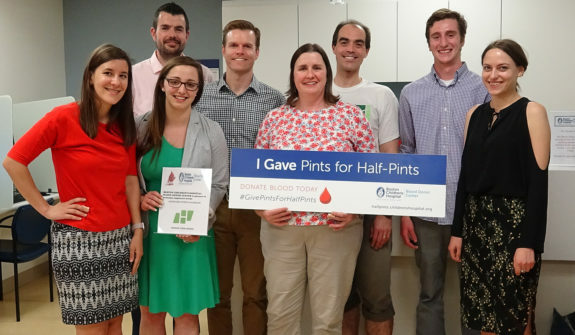 Established in 1958, the donor center at Boston Children’s provides nearly all of the lifesaving blood and blood products used at the hospital. More than 24,000 transfusions of blood are performed at Children’s each year and a single pint can help as many as four children.